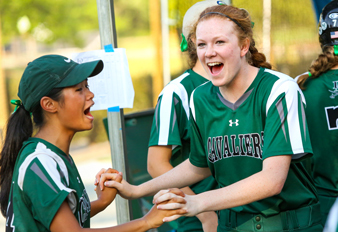 Durham Academy believes strongly in the value of community service. A commitment to service is woven through student life starting in pre-k and helps students develop leadership skills as they gain age-appropriate experience. Engaging with people from diverse backgrounds and abilities, both on campus and in the larger Durham community, can significantly enhance students' sense of responsibility, selflessness, self-reliance, compassion and respect for others. Community service contributions are regularly recognized and celebrated at DA. Durham Academy is proud to partner with the following organizations, reflecting the school's deeper connection with Durham and the broader community. 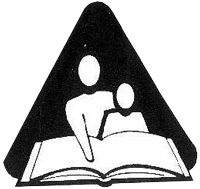 Hill Learning Center was established in 1977 as the Learning Development Center (LDC), with a mission to provide an intensive remediation program for students with specific learning disabilities or attention deficit disorders. Originally established as a program of Durham Academy, in 1980 the center was dedicated to founder George Watts Hill and renamed the Hill Learning Development Center (HLDC). The name was shortened to The Hill Center in 1996. 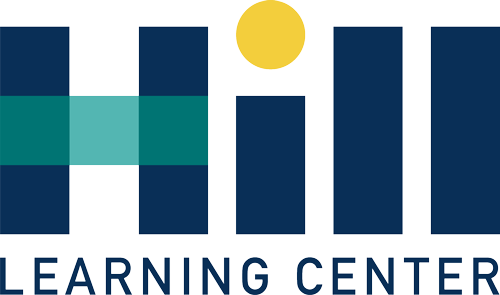 In the 2017–2018 school year Hill celebrated its 40th anniversary, and in the fall of 2018, The Hill Center name was changed to Hill Learning Center. In 1998, Hill became a separate 501(c)3 nonprofit organization with its own Board of Directors. Hill maintains an affiliation with DA and serves a range of public and private school students, teachers, schools, and school districts in four distinct program areas: School, Summer, Tutoring and Educator Professional Development Programs. Student U is a college-access organization that believes all students in Durham have the ability to succeed. In order to make this dream a reality, Student U creates a pipeline of services to support students through middle and high school. By providing direct services during out of school time in the summer and after-school, and advocating for students and families within schools, Student U ensures that students develop the academic skills and personal well-being needed to beat the statistics and succeed in college. Durham Academy serves as the home for Student U's Summer Academy. Members of the DA community serve as teachers, mentors, board members and volunteers for Student U. DA served as the fiscal agent for Student U from its inception until 2011, managing the organization's financial accounts and providing development support. Over the past decade, DA has provided more than $2.5 million of cash and in-kind support to Student U. For more than three decades, Durham Academy has hosted Durham County Special Olympians each spring for a day of friendly competition. Every year, the Durham County Special Olympics Spring Games brings more than 1,000 local athletes, special education teachers, and families to DA's Upper School campus. The mission of Special Olympics is to provide year-round sports training and athletic competition in a variety of Olympic-type sports for children and adults with intellectual disabilities, giving them continuing opportunities to develop physical fitness, demonstrate courage, experience joy and participate in a sharing of gifts, skills and friendship with their families, other Special Olympics athletes and the community. Special Olympics North Carolina is one of the largest Special Olympics programs in the world with more than 38,000 registered athletes who train and compete in year-round programs in 19 different sports. 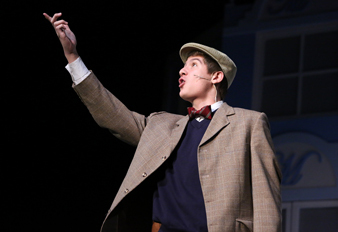 DA Upper School cancels a full day of classes, offers DA facilities, and staffs the entire event with Upper School student and faculty volunteers to reinforce DA's commitment to Durham. Even more powerfully, DA students — whether working throughout the year as organizers, managing individual events, or serving as athletes' "buddies" that day — learn profound lessons about competition, courage and community. Urban Ministries of Durham's programs aim to end homelessness by giving neighbors emergency shelter and case management to help them overcome such barriers as unemployment, medical and mental health problems, and addiction. UMD serves 6,000 people each year who come seeking food, shelter, clothing and supportive services through its Community Shelter, Community Café, and Food Pantry and Clothing Closet. Durham Academy students across divisions work to assist UMD's work in a number of ways, from the hundreds of sandwiches assembled by fourth-graders at the annual Lower School Unity Day, to the hours spent by Middle Schoolers organizing the clothing closet, to the hundreds of pounds of food collected by Upper Schoolers to help fill shelves in UMD's pantry. The Upper School UMD Club's efforts have included serving breakfast at the Community Café, volunteering at UMD's Empty Bowls fundraiser, and helping children served by UMD to select and wrap holiday gifts for their parents. 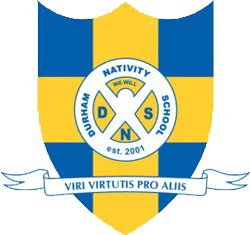 Durham Nativity School aims to educate and empower each child to reach their full potential. Without regard to race, religion or ethnicity, the school provides a tuition-free, enriched learning environment and an 11-year support system for middle school boys who have the ability and commitment to achieve, yet lack the resources to attend a quality, independent school. 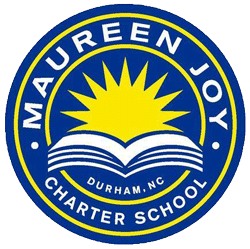 The school was founded by Joe and Ann Carole Moylan (parents of six Durham Academy alumni), and several members of the DA community have served on the Durham Nativity School Board of Trustees. DA Upper Schooler Alex Hoffman hosts an Ultimate Frisbee tournament each year to raise funds to purchase Google Chromebooks for an entire class of DNS students with a goal of providing laptops for all four DNS grade levels by the time he graduates from DA. 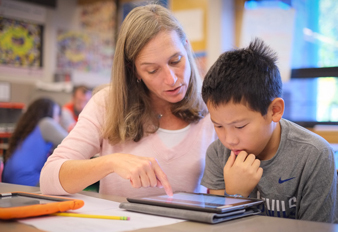 DNS provides a rigorous academic program and nurtures the whole child to reach his potential through knowledge, moral values, learning skills, discipline, and character development. DNS instills service for others while building tomorrow’s role models and community leaders. DA has enrolled several DNS graduates — each of whom have won the respect of their peers with a combination of talent, tenacity, and character. Several DA teachers volunteer with DNS's "Saturday Academy" series to assist with their admissions process. The Augustine Literacy Project, a Chapel Hill based nonprofit founded in 1994, works to train and support volunteer tutors who provide free, long-term, one-on-one instruction in reading, writing and spelling to low-income children and teens who struggle with literacy skills. 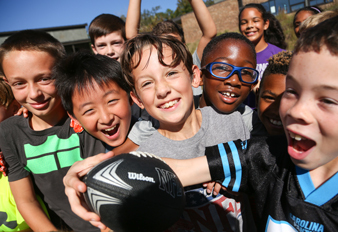 Economically and academically disadvantaged students in more than 90 schools and after-school programs around the Triangle benefit from Augustine intervention. Since 2007, DA seniors have had the opportunity to take a year-long elective that trains them to use the project's research-based, multisensory, phonetic literacy curriculum, based on the Orton Gillingham approach. They learn why some children struggle with reading (ESL issues, learning differences, poverty) and how to address the problem. After a month of preparation, each DA senior is paired with a low-income child at a local elementary school. To be eligible for tutoring, the child must qualify for free or reduced price lunch and perform below grade level in reading. Lessons last 45 minutes and take place three times a week from September through May. Durham Academy's partnership with the Karen Beasley Sea Turtle Rescue and Rehabilitation Center in Topsail Beach has spanned about two decades. Each year, third-graders create turtle-themed bookmarks, keychains, jewelry and more for the Third Grade Sea Turtle Gift Shop, patronized by fellow students, parents and faculty. Proceeds benefit the Karen Beasley Sea Turtle Rescue and Rehabilitation Center in Topsail Beach, which the students visit as a year-end trip. 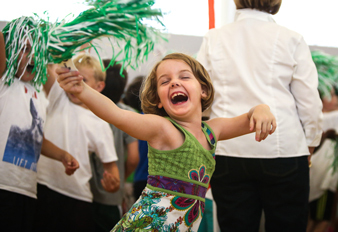 Third-graders typically raise about $3,000 to benefit the center each year. Ronald McDonald House offers a comforting home away from home and a community of support for seriously ill children and their families. RMH programs provide families with the comforts of home — private bedrooms, inviting community spaces, home-cooked meals and a stocked kitchen, a playroom, computer room and laundry facilities — as well as a network of support through interactions with other families, staff and volunteers. Durham Academy's partnership with the Ronald McDonald House spans three divisions and has lasted more than 20 years, with students' efforts supporting both the Durham and Chapel Hill RMH facilities. First-graders' year-long commitment to RMH Durham involves an initial visit in September with a return trip to decorate the facility each December with holiday decorations and supplies. First-graders also collect soda pop tabs, which they recycle to raise funds for the House. 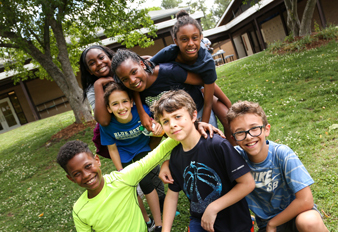 Many Middle School and Upper School students spend their community service days working to support RMH — from Middle Schoolers baking brownies and cookies for families staying at the Durham house, to Upper Schoolers pitching in with housekeeping duties at the Chapel Hill facility. Rise Against Hunger is an international hunger relief agency that has been fulfilling its commitment to end hunger for more than 15 years. Since 1998, the organization (formerly known as Stop Hunger Now) has coordinated the distribution of food and other lifesaving aid to children and families in countries all over the world. Rise Against Hunger created its meal-packaging program in 2005. The program perfected the assembly process that combines rice, soy, dehydrated vegetables and a flavoring mix including 21 essential vitamins and minerals into small meal packets. The food stores easily, has a shelf-life of two years and transports quickly. Rise Against Hunger works with international partners that ship and distribute the meals in-country. Every year on Martin Luther King Jr. Day, Durham Academy families gather to assemble and package meals for distribution all over the world. Over the course of DA's partnership with Rise Against Hunger, more than 200,000 meals have been packaged to feed the hungry. WISER is an organization founded at Duke that works to improve the lives of women in the Muhuru Bay area of Kenya. Durham Academy has partnered with WISER since its founding in 2007. 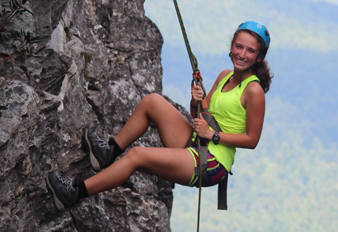 DA alumnus Kelly Teagarden '04, now a DA Upper School teacher, is among the Duke students who founded WISER. Each January, the Durham Academy music program and DA's WISER Club host the A Cappella Jam vocal performance event at the Carolina Theater in downtown Durham. Vocal groups from Triangle-area high schools and colleges and beyond join DA vocal performance groups XIV Hours and Acapocalypse for a great night of music for a great cause. Books for every child who needs them: A simple idea. An achievable goal. Book Harvest works to provide a book-rich home environment for Triangle children in need. More than half of low-income children do not own a single book. Ginger Young, parent of DA alumni, founded the nonprofit organization to help low-income children build home libraries of books they have chosen, and in the process, to arrive at kindergarten ready to learn, to combat summer learning loss once they are in school, and to self-identify as readers. Books are a vital tool to help all kids succeed in school and in life. Durham Academy students regularly volunteer with Book Harvest as part of community service days, and students often spearhead book drives for the organization. Book Harvest has worked with the community to collect more than 500,000 new and gently used children's books, distributing them to children in need throughout the Triangle.